Knowledge Street was born from a love of the work and a desire to share what we know. We’ve traveled here from varied but complementary backgrounds – consulting, technical writing, graphic arts, general management and academia. We’re dedicated, we like to work hard and look for common sense answers. We’re also willing to take risks, and try to approach it all with a sense of humor. Chris co-founded Knowledge Street LLC after leaving an internal KM and Communications position at Fujitsu Consulting, the international consulting arm of the Fujitsu Group. Fujitsu Consulting was assembled from a number of Fujitsu subsidiaries, one of which was the company formerly known as DMR. That’s where Chris spent the previous 11 years, and where he was responsible for KM within the company’s Telecommunications Trading Area. Earlier, he led DMR’s corporate KM Program, making him the moral equivalent of a Chief Knowledge Officer. Chris started in Knowledge Management in 1997, defining that role in the company’s Year 2000 Competency Center. The Y2K business was very good to DMR, and its KM initiatives got a great deal of the credit. 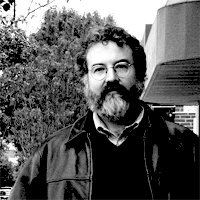 Before Knowledge Management, most of Chris’s career was spent as a writer and editor. In the late 1980’s, he put in two years as Operations Manager for NYTV, a small video design and production company. Starting in 1976, he logged eight years as an editor with Times On-line Services, a pre-Internet attempt at a comprehensive general knowledge repository. Chris holds a degree in English Literature from Rutgers College. He also co-wrote (with Alan Brompton) the Fujitsu Consulting Chapter in Leading with Knowledge: The KM Chronicles, Tata-McGraw Hill; 2003. 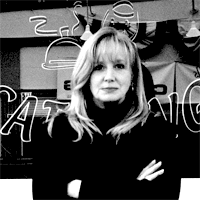 Pam is a co-founder of Knowledge Street, and was instrumental in bringing it to life in October 2002. A creative professional with a background in graphic design, project management, human communications, team building and training, Pam is someone who brings a fresh, “non-corporate” perspective to business problem-solving. She also has a reputation for getting things done in the most cost-effective way. Pam’s experience includes communications theory and practice, Knowledge Management, web design and development, Internet marketing, service offering development and all forms of communication. She’s a visual thinker. Pam is K Street’s techie and is also the designated art director for all client work. She’s a power user of many different software tools, from many different companies. If it runs on a PC or a Mac, she can make it dance. In the late 1990’s Pam was part of the KM & Communications team at the Fujitsu Group, responsible for the design, construction and maintenance of a number of Notes and web-based knowledge repositories. She also managed internal communications for the Telco Trading Area, with responsibility for face-to-face, electronic and print channels, while providing graphic and interface design support for the corporate marketing group. Pam has worn many hats during her career, with time spent in print production, pre-press and facilities management, as well as fitness and personal training. She holds a BA in Fine Arts from Indiana University of Pennsylvania and has experience using various Web-authoring tools and Adobe design software. For general email inquires, send an email to info@knowledgestreet.com.